Harold Breene has been involved in camping his whole life! After a stint in the Army during World War II, he earned a Masters Degree in Camping Education from NYU. He was the Athletic Director of a local private school, and then a college professor of Recreation and Camp Administration. 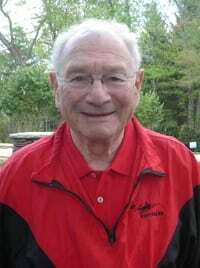 Harold is a proud Eagle Scout, and was a scoutmaster in Berkeley Heights for many years. 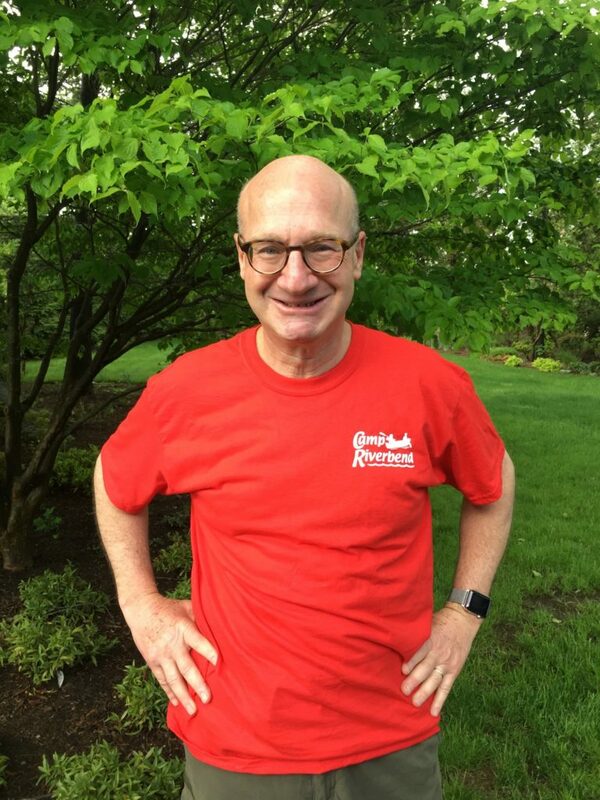 He has also been a stalwart member of the American Camp Association, serving as President of the New Jersey section and of the Association of Independent Camps. He worked to improve camp quality nationwide as a member of the national ACA Standards Board. Now Harold has passed on the running of the camp operations to the next generation, but he can continue to be seen driving around camp on his scooter and having lunch in our dining facility. The late Marianne Breene was the very first counselor for our preschool campers. For many years she was the director of the Summit Co-Op Nursery School. She earned a degree in Early Childhood Education from Kean University when her own children were in college and high school. 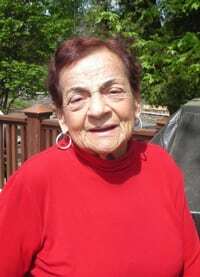 She was an avid bridge player and loved to read and go to the theater. She and Harold had 4 children and 10 grandchildren, who have been campers and then counselors. 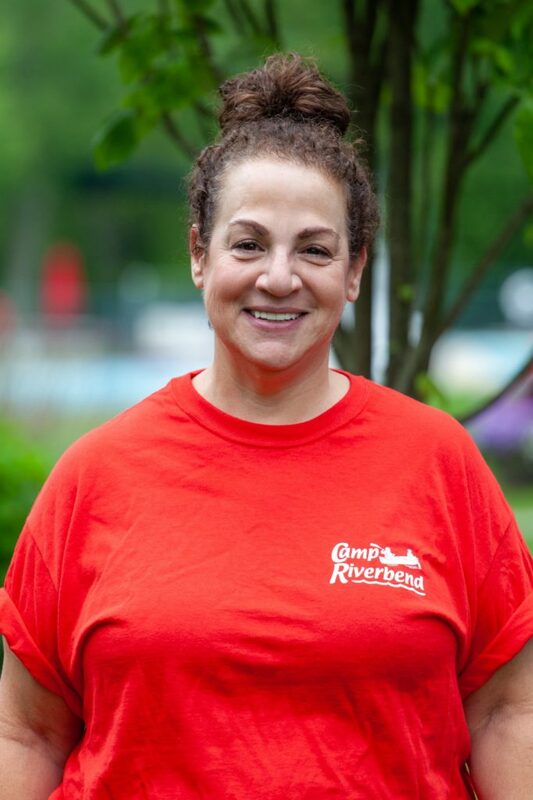 Marianne passed away in 2017 but her values continue to inspire how Camp Riverbend is run. Roger Breene is Marianne and Harold’s oldest child. Camp has been a part of Roger’s life since it started in 1962. He was a camper, and then worked on the maintenance staff, as a swim instructor and lifeguard and then as the Waterfront Director. It was during his time as Waterfront Director that Roger met his wife, Debbie, who was then a counselor. To this day, she continues to serve as the head of F Division. Roger returned to Camp in approximately 1997 as an Assistant Director, after working full-time as a practicing attorney. Now retired from the practice of law, Roger loves to spend the off-season pursuing his hobbies, which include golf, cycling, skiing and paddle tennis, and of course visiting his grandchildren in Colorado! Jill Breene Cheng has been at Camp Riverbend since she was 5 years old. She started typing camper lists (on a typewriter, with carbon paper!) while she was still in high school. She worked side by side with her Dad, Harold, learning how to run a camp from a very young age. Jill graduated from the College of New Jersey with a degree in Art Therapy. 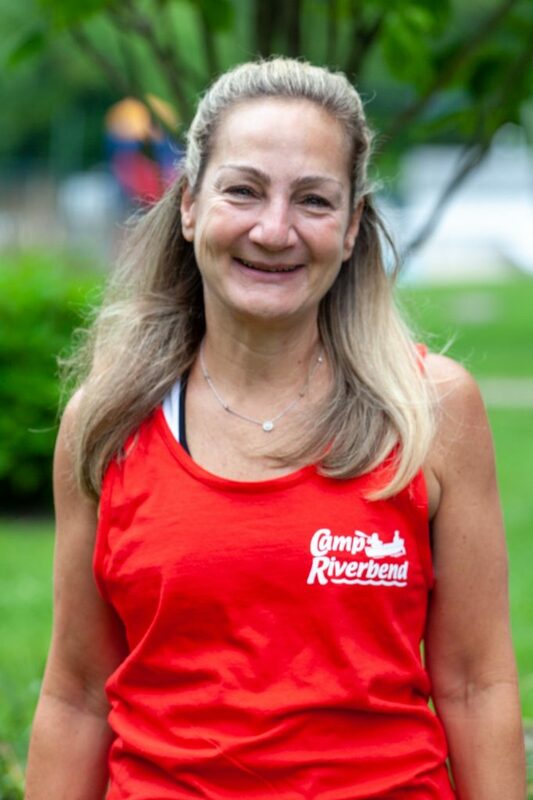 She has three children who have all been campers and counselors at Camp Riverbend and now is the grandmother to two girls. Her oldest grandchild has just started at Camp Riverbend in the Clubhouse. Her interests are travel and design and playing with her grandchildren. Paul Breene grew up at Riverbend and only left for a few years to get a law degree. He still practices law from Labor Day to June 1 but, like the rest of the Breene family, loves camp and returns every year to be a part of it. Paul is married to our program director, Miriam Peretsman and is the father of two former campers and counselors. Paul loves everything about camp and looks forward every year to the first day of staff orientation, which is kind of like baseball spring training in that it is filled with anticipation of another great season with our incredibly talented and devoted staff. Paul loves to help lead morning assemblies and especially loves leading the campfires when E and F Division Groups have their overnights. In his spare time, Paul gardens, skis, golfs (badly), and reads. Robin Breene Hetrick was too young to be a camper when Camp Riverbend opened, so she toddled around camp with her babysitter. Robin graduated from the University of Delaware with a degree in Physical Therapy. She worked as a physical therapist full time for 6 years and then came back to camp. Robin has been the Waterfront Director since the early 1990s. Both her daughters worked at camp and got married here too. In the off-season she spends time in Florida playing golf and of course swimming! Continuing a tradition started by her father, Robin does cartwheels every Friday afternoon to mark the successful completion of another week at camp. 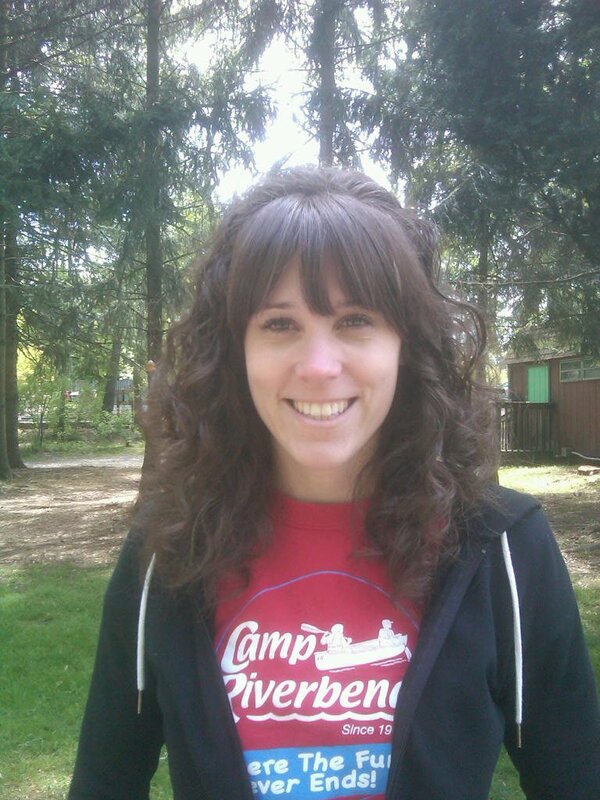 Miriam Peretsman Breene had her first summer camp experience as a Girl Scout on Long Island. 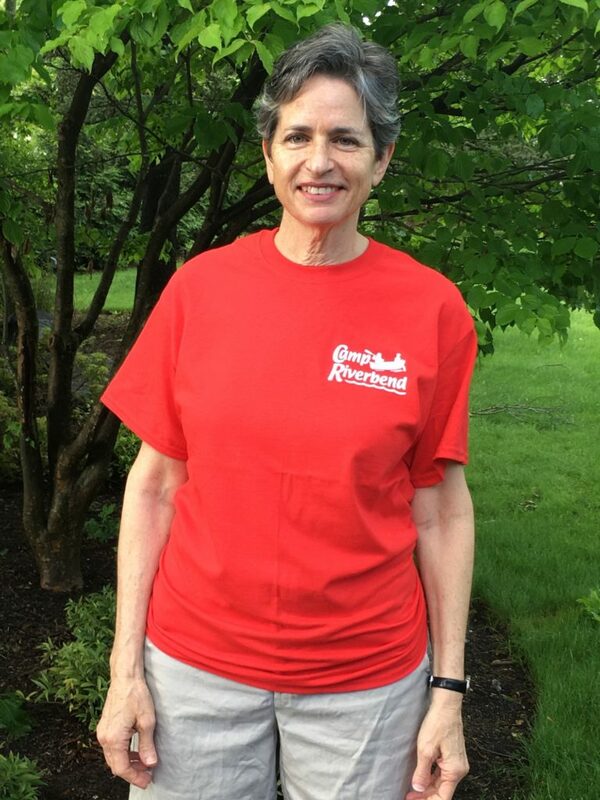 She has been here at Camp Riverbend since 1988, first as the newspaper editor for one year, and then as the program director every year since then. Miriam studied at the University of Pennsylvania and she met her husband Paul Breene during her (and his) junior year abroad in London. Miriam likes to read, ski, travel and garden. Katie Higgins has a BA in Art Education and holds a MA in Early Childhood and Elementary Education. She is currently an Art Teacher at a local elementary school. She loves working with kids and getting them excited about new experiences! Katie remembers her first summer working as a junior counselor when she realized she wanted to continue to work with kids and make an impact in their lives. In her free time, Katie loves to travel, explore new places, go to museums, watch movies, snowboard and play sports. Dave Muller been working at Camp Riverbend since 1995. He is a father of three former campers. During the school year, he is a teacher in the Belleville Public School System. He has been teaching since 1994, and has a B.A. degree in Teacher of the Handicapped. He also holds a masters degree in School Counseling and an associate degree in Food Service Management. In his spare time, Dave enjoys road cycling, swimming, and camping. 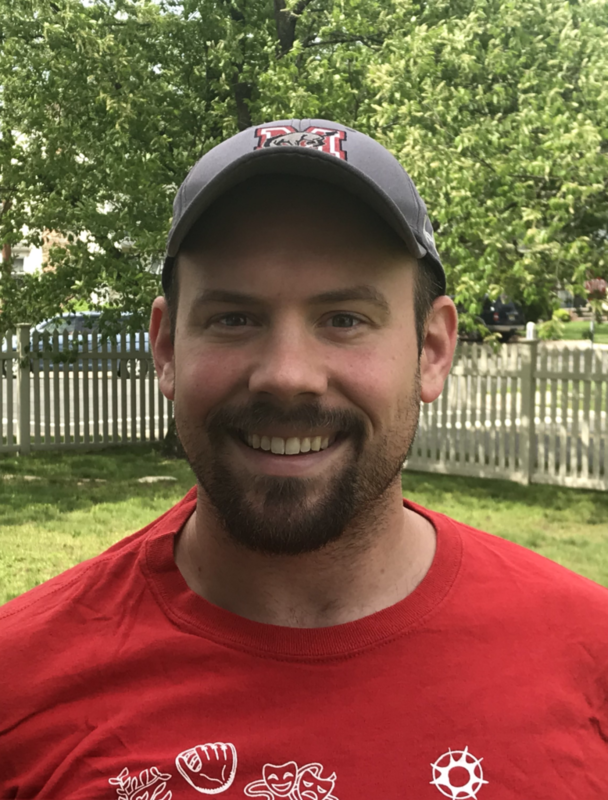 Mike Glackin has been a counselor at Camp Riverbend since he was in college in 2005, following in the tracks of his mother who was a counselor in the 1970’s. Mike is a high school teacher in Edison now. Mike met his wife Jen at Camp (another Riverbend romance) and at their wedding the happy couple came to Riverbend for a game of gaga after the ceremony! Now Mike and Jen have a girl who is a current Riverbender! Mike is an accomplished bagpiper who has performed at many of our Counselor Talent Shows. Brian has been at Riverbend since 2005, as a group counselor and the Spirit specialist. 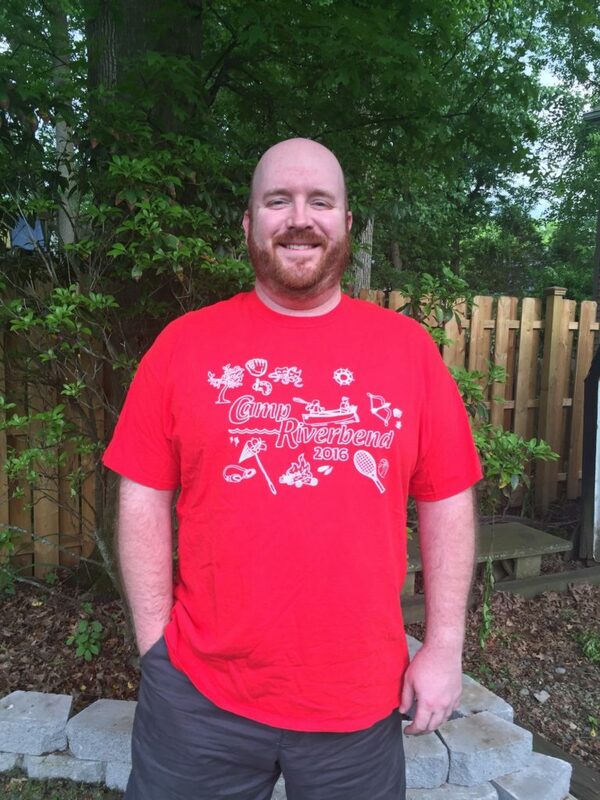 During the school year, he teaches high school biology. Brian has degrees in Biology and secondary education. 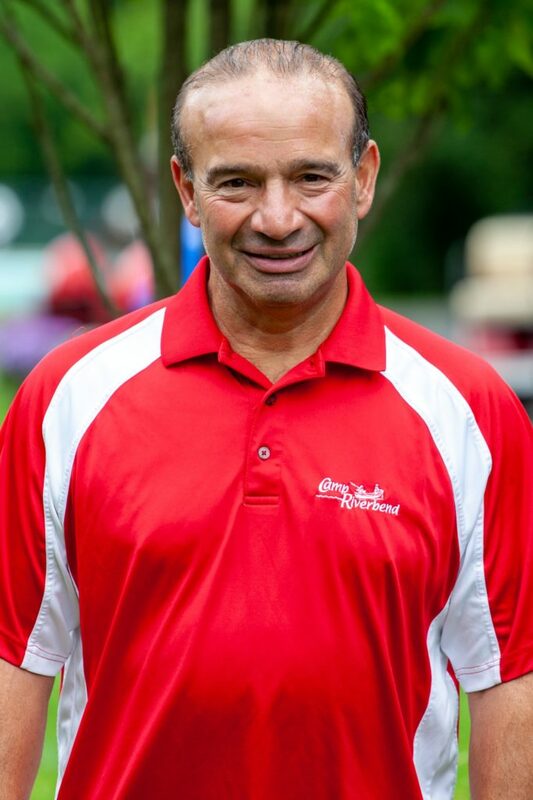 He’s the father of a camper and in his free time, he enjoys playing disc golf, coaching his son in soccer, beating Super Mario Odyssey, and obsessing over the 49ers, NJ Devils, and Yankees. Jeff Kaesshaefer has worked at Riverbend since 2003. 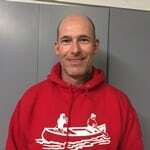 He has taught elementary physical education at South Mountain School in South Orange since 1997. Jeff has 3 kids, one of whom is a current Riverbend camper and two who have “graduated”. During the school year, he coaches boys and girls lacrosse in his home town. To stay active, Jeff likes to run, play basketball, and spend time outdoors. Debbie Breene met her husband Roger Breene at Camp Riverbend in 1977 and has been working at camp ever since that time. She was a Spanish teacher for 5 years, had her family and then taught at the Co-op Nursery School in Summit for 20 years. Debbie is a substitute teacher in Summit at the elementary schools. 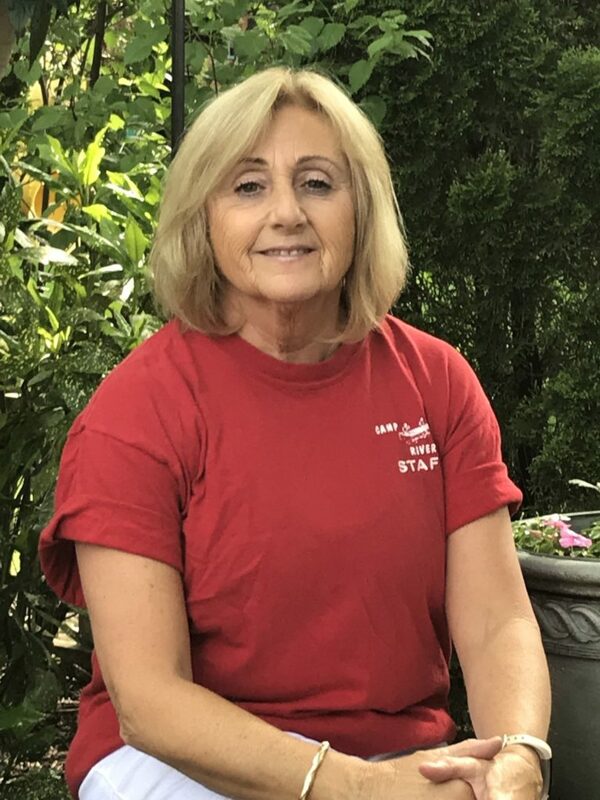 She enjoys biking, skiing, collecting sea glass at the Jersey shore, volunteering, cooking, working with children and taking classes at Equinox. She also loves to garden and read. Debbie and Roger have two grandsons, and one of them attends camp during the summer.